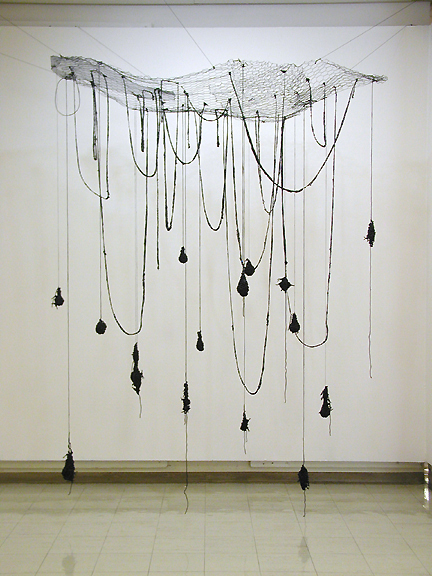 "Allelopathy," 2009, crocheted licorice lace , rubber coated fibers and painted chicken wire, dimension variable. Allelopathy is the inhibition of growth of a plant due to biomolecules released by another (from Wikipedia); it is a common behavior seen in invasive species. 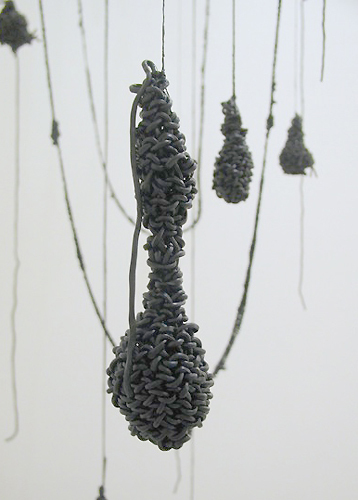 Here crocheted licorice lace mimics the behaviors of invasive species, symbolizing the nature of food addiction.